"I can't say enough good things about our experience with Traci. She has the rare ability to combine fun and positivity with top notch, detail-oriented instruction. Also unique is the fact that she is equally talented in both you and adult coaching. Every person I know that swim with her has nothing but wonderful things to say about their experience. We started going to Traci a few years ago for basic swim lessons for my daughter. What started out as a necessary class to learn a basic life skill, evolved into a focus on technique. It felt like we went from struggling to get across the pool to learning all four strokes in no time. We continued with the lessons because my daughter looked forward to them so much. Not only did Traci have my daughter confidently swimming in no time, but she also fostered a love of swimming in her that I know she will carry with her for the rest of her life." "I am a decent swimmer but when I started triathlon I found that open water swimming terrified me. I would cry before heading into the water and even once I worked up the nerve to get in. I couldn't swim well as my nerves made breathing difficult. I spent all morning with Traci on a group swim, who was able to help me calm down and make use of it in all of my future swims. This was the single most important factor in my being able to complete the Ironman swim." 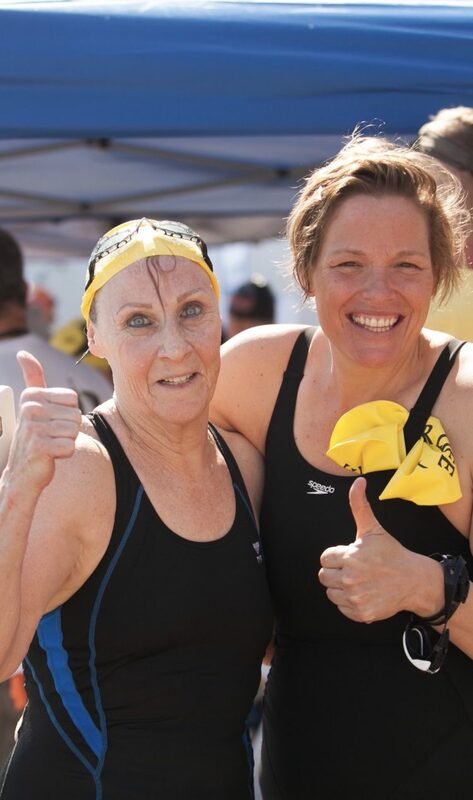 "As someone who just learned to swim a little over 3 years ago as an adult, I have been pleasantly surprised over and over again with how Traci supports me and my fears of deep water and Open Water Swimming. 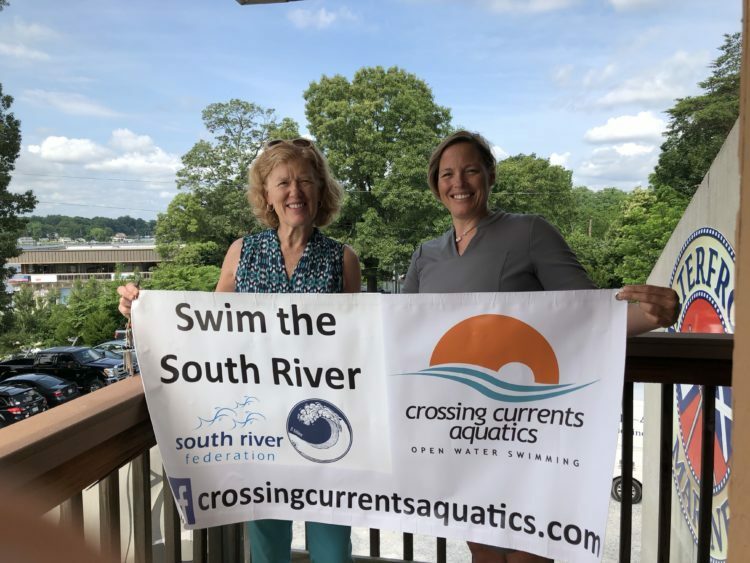 I have participated in group pool clinics with Traci, semi-private lessons, and also OWS in the South River with Traci and her support staff. As an adult swimmer, I know how flexible Traci is with her teaching methods. I have participated in other OWS clinics, but Traci's has been the only ones that catered to all levels: beginner, intermediate, to very experienced. I doubt that very seriously I could have completed 6 Olympic distance OW triathlons or obtained 2 Adult Learn to Swim teaching certification without her constant support, skill sets, and cheers. I also feel very prepared for my first half Ironman distance swim in just a few weeks -- 1.2 miles. 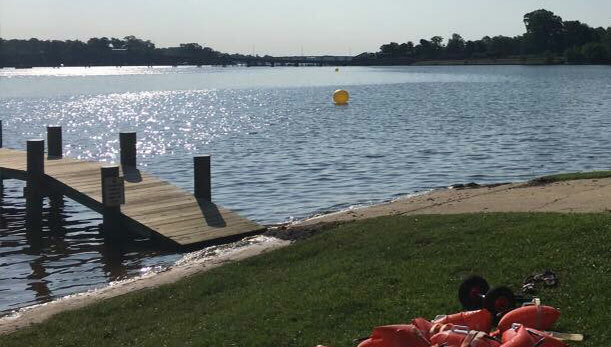 If you have any hesitation about swimming in a pool or if you're panicky in open water, connect with Crossing Currents Aquatics as soon as possible. 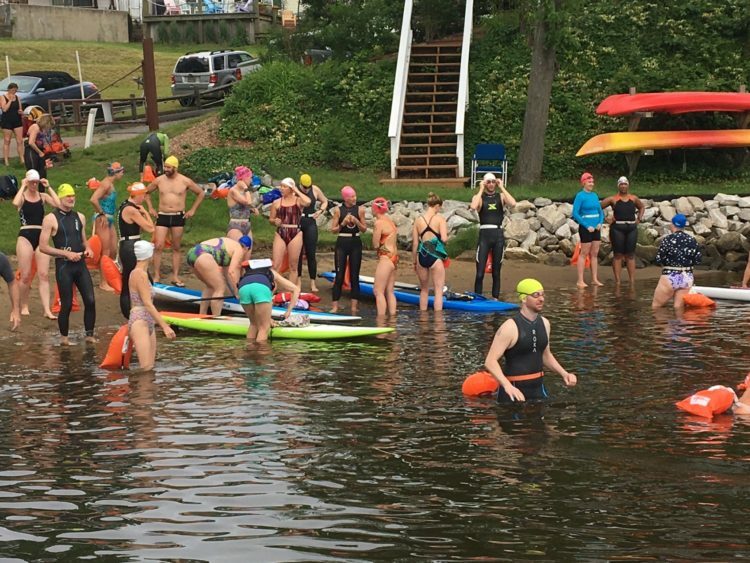 I assure that you'll have the tools you need to meet your swim goals." "Traci is an amazing coach! While already a competent swimmer she completely took me to the next level. Working on my stroke and mechanics and making it all fun in the process. I absolutely look forward to what I call "adult swim team" which is actually Morning Masters at the Riva Pool. Traci has assembled a fabulous group of people to swim, learn and laugh together. My children also adore her and have learned to swim under her instruction. She is patient and calm and, of course, fun! My boys both adore her and look forward to Miss Traci's swim team. I highly recommend Crossing Currents for adults (new, seasoned swimmers alike) and also kids! Traci is approachable, kind, funny and event better - completely knowledgeable about all things swim. The perfect combination for a swim coach!" "I wish that I could give more than 5 stars! Traci is amazing -- she is an incredible swim coach, with the ability to identify areas for improvement and communicate changes to technique that makes an incredible difference in your stroke. 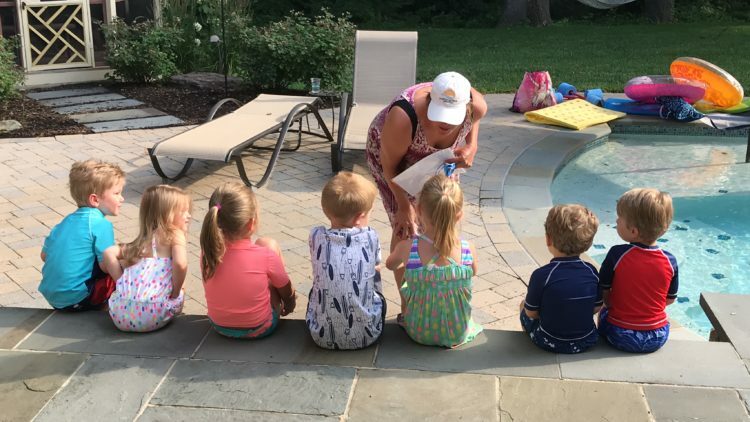 She cares deeply for each of her swimmers, whether novice or experienced, and has a way of motivating you to improve without being tough or pushy. Not only is she an incredible coach, Traci is an amazing person who truly makes you feel confident and comfortable in and out of the water. Your personal goals become her vision for you in the water. Her passion and love for swimming come through from the moment you meet her and she has helped me to find joy in the water, whether I'm having a good day or a bad day. 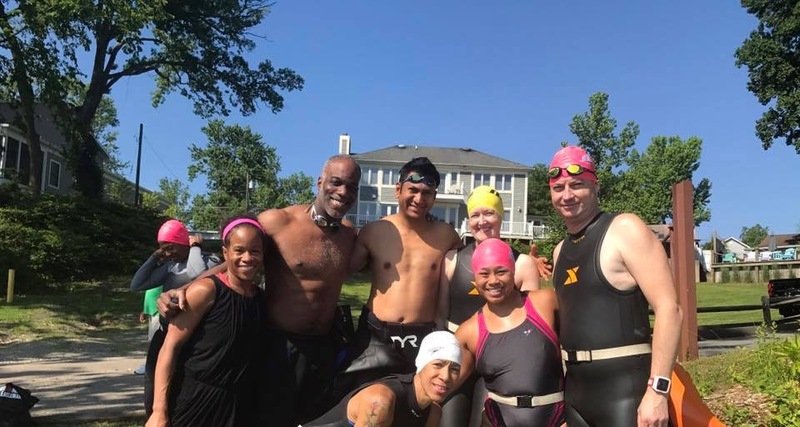 Whether your goal is to swim the English Channel or just get more comfortable in the water, Traci will help you confidently achieve your goal!" 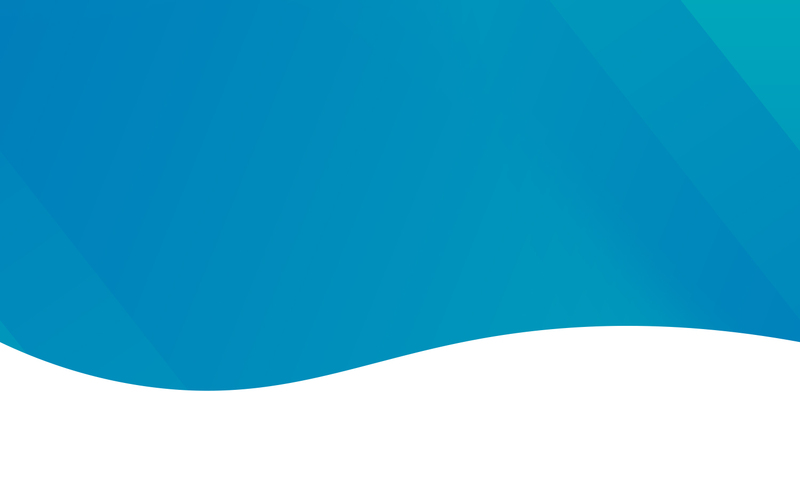 "Crossing Current Aquatics is a phenomenal program for new or experienced triathlon swimmers. I've taken Traci's classes for pool swimming and Open Water Swimming, and she is a great instructor. Her techniques for various areas and styles of swim has taught me so much. For her Open Water Swim, I always feel safe in the water. Traci and her team are stewards when it comes to water safety. My training partner and several of my friends also train with Traci on a regular basis. Working with Traci have allowed me to complete 2 Half Ironman distance swims. Something I never thought I could do, but with Traci's training, she definitely made it possible." "Coach Traci has been instrumental in helping me transition from pool to long-distance open water races. I grew up swimming but had never attempted open water or anything longer than a mile until after I started working with Traci. She uses exactly the right balance of encouragement and technique correction. In 2016, I (quite easily) finished the 4.4 mile Chesapeake Bay Bridge Swim in a few week, I will be attempting my first 10k swim. I never would have thought these things were possible until Traci helped me make the leap to open water." 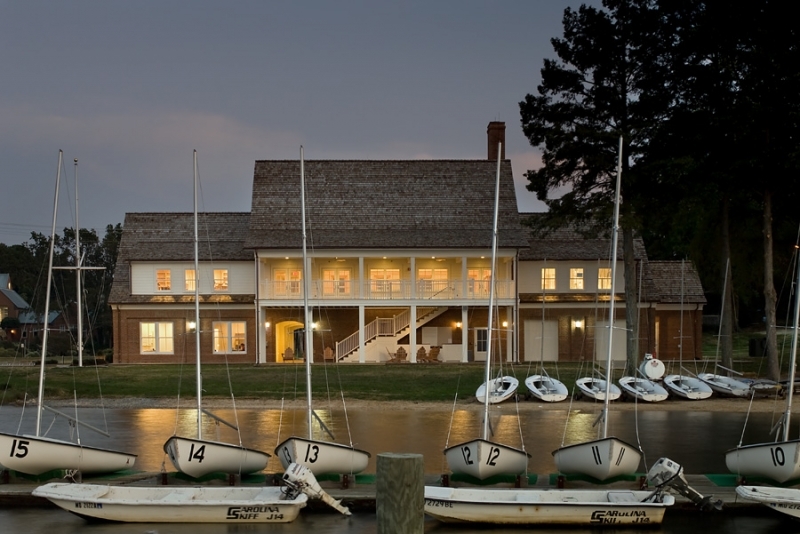 "Coach Traci is a professional who hasn't forgotten that you can have fun while working hard. She meets each swimmer where they are and helps them get to and beyond their goals. She intuitively knows when to push you because she knows you can do more than you think and when to lay back and be supportive. She's full of positive energy. I'm no Olympian but I'm a faster, more efficient, and happier swimmer because of her talent!" 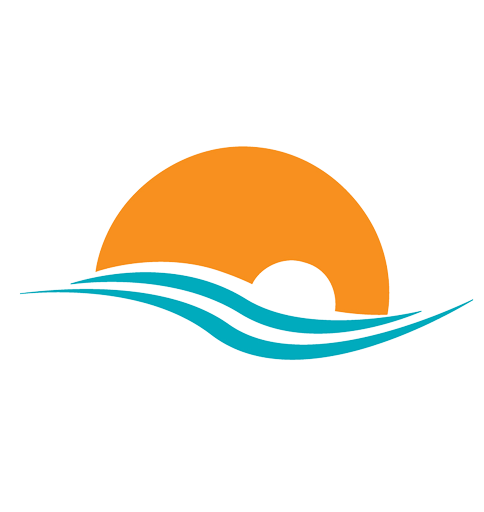 "Traci is one of the best swim coaches in our area. Her ability to teach all levels is incredible. Whether you are looking for lessons for your new swimmer or trying to get faster in the swim leg of your Tri - Traci is your go-to person. She is patient, extremely knowledgeable and always encouraging. All Open Water swimmers, if you want to get faster - you gotta Tri Traci."